Do you need an attorney that will fight for you? The experience you need. The attention you deserve. Results. 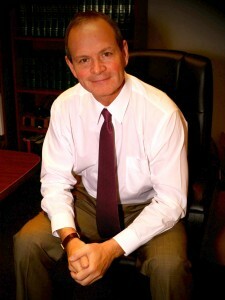 Family law, criminal defense, personal injury, civil trial attorney. Results. Experienced, aggressive legal representation. Excellent client service. Affordable fees. An attorney you can trust. An attorney who returns phone calls. Prompt, efficient handling of your legal matters. This is what clients of Randy Anglen have come to expect. We realize most of our clients are going through a stressful time and we strive to ease the stress and worry. We have served Southwest Missouri and Northwest Arkansas since 1991 and have become known as one of the pre-eminent law firms in the area. We offer a variety of legal services, including; personal injury/auto accident claims; criminal defense – felony, misdemeanor and traffic; family law – divorce, custody, paternity and adoption; real estate disputes and closings, mediation services, collections, appeals, juvenile law, and condominium law. Licensed in Missouri, Colorado, and Arkansas. Mr. Anglen is a certified civil mediator in Missouri. Located in Fayetteville, Arkansas. Call today for an appointment. Se habla Espanol.